Hivery Vending Analytics uses your data and our powerful AI-driven engine to help you achieve the optimum mix of product, space and price for each of your machines in your fleet. It factors only a few data variables to make recommendations that maximize profit. 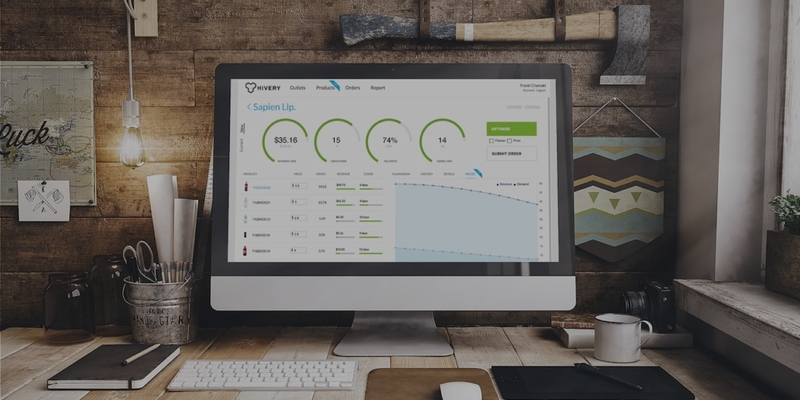 Vending Analytics is a simple-to-use cloud-based vending intelligence software. Sitting above your existing vending machine management system, our software generates recommendations on how to optimize individual vending machines to maximize sales and minimize stock outs. You get a ROI within six weeks of implementing our AI-driven recommendations. Vending Analytics is the world’s first Artificial Intelligence solution that increases returns and reduces restocking in vending machines. It does this by recommending the right product mix, the right space-to-sales, and the right price for each individual machine in the fleet. Forming part of the Retail Genome™, our self-learning algorithm uses existing data to learn and make advanced fingerprint recommendations in retail spaces. The result is ROI within six weeks. HIVERY is an artificial intelligence company focused on helping companies generate a Return on Retail Space Investment through AI-backed smarts in product recommendations, price learning, space rationalization, and effective promotions, headquartered in Sydney Austraila. The HIVERY platform is an AI system built on bleeding edge technologies from machine learning. Our platform came from humble beginnings in 2014, as the basis of space and assortments experiments in dozens of vending machines in Newcastle, Australia. Since those small experiments, undertaken with our bottler partner Coca-Cola Amatil, our platform has been propelled into deployments in Australia, New Zealand and the United States. In its latest incarnation, our data-driven platform is planning optimal retail strategies around occasion, brand, package, price, and channel. It is optimizing the scheduling of promotions, and eliciting meaningful customer segments on the back of e-commerce platforms. Just as our platform has matured and grown, so too has our team. From the initial group 5 co-founding entrepreneurs, we now employ an internationally diverse team, comprising of business development executives, architects, designers, programmers, engineers and scientists.